The fluke fishing around eastern Long Island Sound and western Block Island Sound has really turned on as the warmer waters have finally brought the squid in masses. With a slow bite at home, we have had successful days over at Block island with some large fluke taken up to 30". Now that the water has warmed up, 67-68 degrees, the fluke have begun to be prevalent in our local waters of the Rhode Island Beaches. This past trip on the 4th of July yielded several good sized fluke between 21" and 24". These fish were caught on 20lb Green Bullbuster braid. I typically like to fish a jigging setup in these waters tied with a couple feet of 20-30lb Bullbuster fluorocarbon leader material. 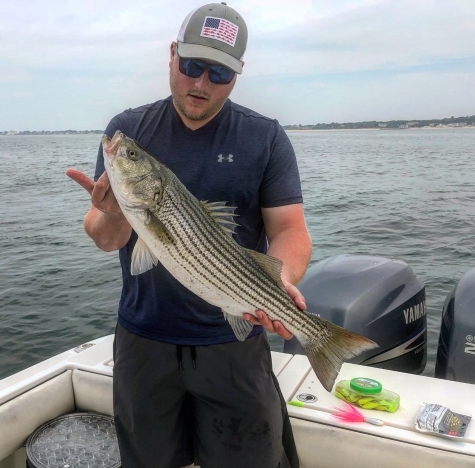 The Westerly, Rhode Island Reefs have been holding a good number of schoolie striped bass for the past couple of months. I have had success with mid sized fish using bucktails, poppers, and the sand eel RonZ. On our most recent trip while jigging on the fluke grounds, a 28" Striped bass took a 3oz bucktail with a 6" gulp grub. 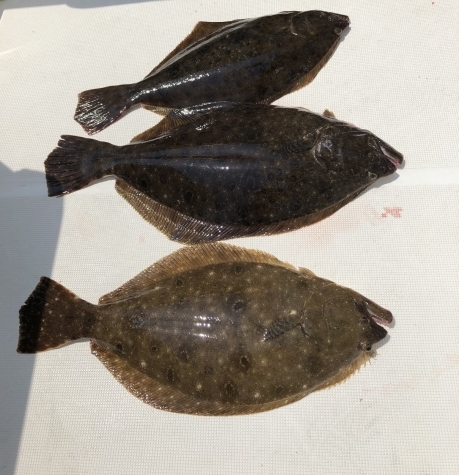 The fluke fishing looks like it will continue to heat up through the month of July in the local waters and will continue to stay hot over at Block Island. We are still waiting to see any large daytime bass locally, but there have been numerous 50lb fishing taken at night and over at the island.